A small but surprisingly multicultural island in the Indian Ocean, Mauritius sits just east of Madagascar and offers a white-sand coastline lapped by sapphire waters. The contrasts of colors, tastes, and cultures here makes a vacation in Mauritius richly rewarding, with plenty to do along the coast and deeper inland. 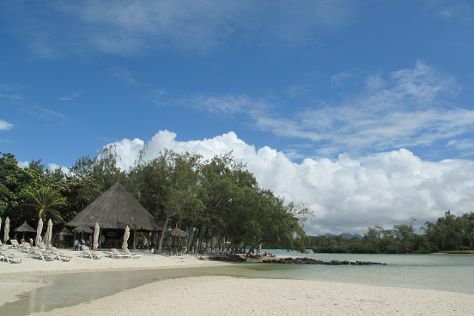 A tour of Mauritius usually includes long stops at the island's beaches, which serve as launching points for deep-sea fishing trips, dolphin-watching excursions, and scuba diving adventures. Farther away from the water, you can discover a paradise for hikers and nature lovers. Mauritius is made for explorations on foot, with several volcanic summits and a large national park sheltering abundant species of indigenous plants and birds. Mauritius is in Africa. Make your own Mauritius vacation itinerary, with a little help from those that know the place like the back of their hands, by using our Mauritius trip planner.